Tru Lawn, LLC will consult directly with you to obtain your ideas for your new back yard pond installation. Weather you desire a lush oasis to a simple but elegant water feature, we design and build the water feature to last decades! 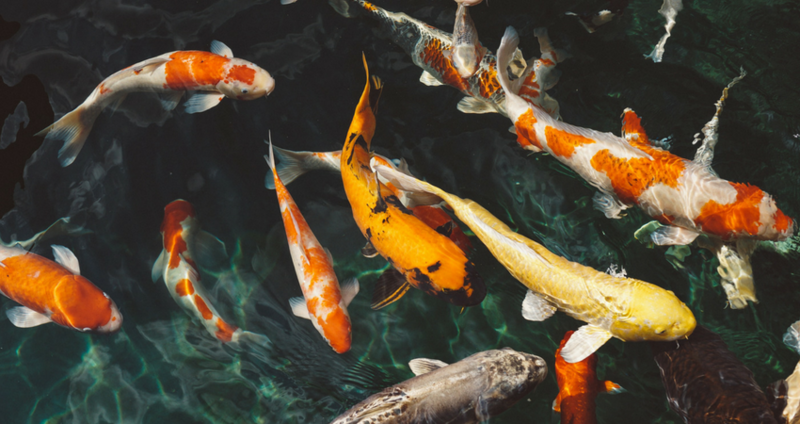 Extend your home with a beautiful backyard pond or water feature. Aesthetic beauty that improves with age. Winterization available for those cold winters. 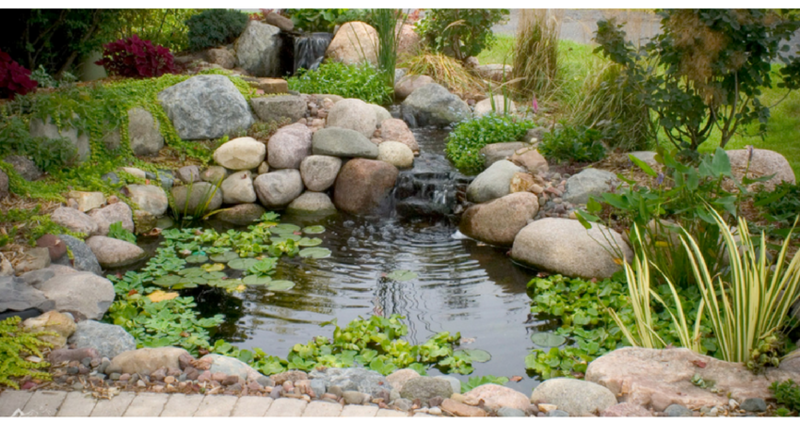 Ponds and water feature products are certified original Aquascape Pond Products. The #1 Pond Product Supplier in the WORLD. 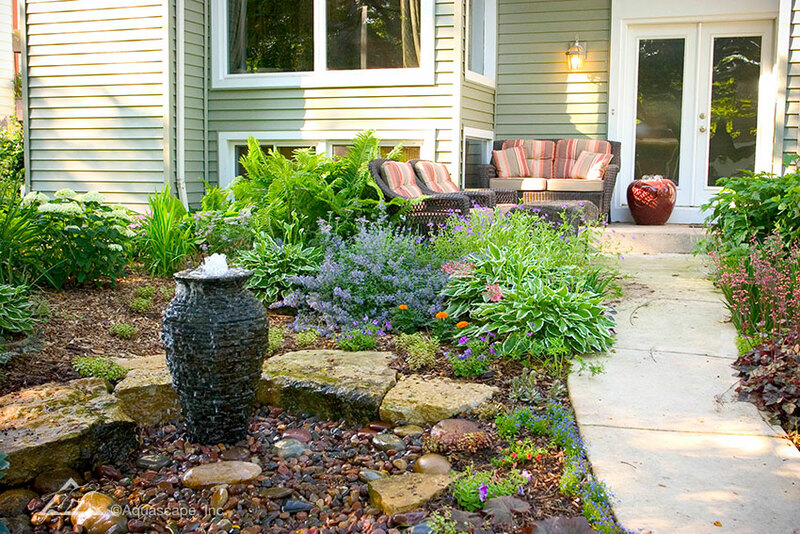 Enjoy a unique and rewarding experience with a Water Feature installation right in your own back yard. Also, water features can be placed in almost any location on the property with ease. A land survey will be performed to make sure there are no obstacles that will prevent your new water feature or pond from being completed in a timely manner. Have confidence in our customer focused approach. This makes the pond experience an amazing experience. At Tru Lawn, LLC we want our customers to be there from start to finish. By doing this our customer's input is directly reflected with the end result. We make your dreams a reality! Quick installations are made possible by Aquascape Certified pond products. Back yard pond installations typically take 1 working day on average. Depending upon the size and scope of your desired water feature installation, from start to finish is a smooth and quick process. Tru Lawn LLC goes through a process that will take your direct input and integrate that into the artistic design of the wonderful water feature installation. Aquascape Inc. is the world leader in water feature products and training for Certified Pond Contractors. We are trained thoroughly for the task of making a masterpiece that is virually maintenance free. More information on Aquascape can be found HERE. Water Features for Every Occasion!